Our on-the-Farm scheduled tours and community arts & culture events will resume in May 2019. ​Please call (765) 560-5445 and leave a message if you would like more information. The Architecture & Design Film Series presents The Black Museum, a film about the the design and construction of the Smithsonian National Museum of African American History and Culture in Washington, DC.. 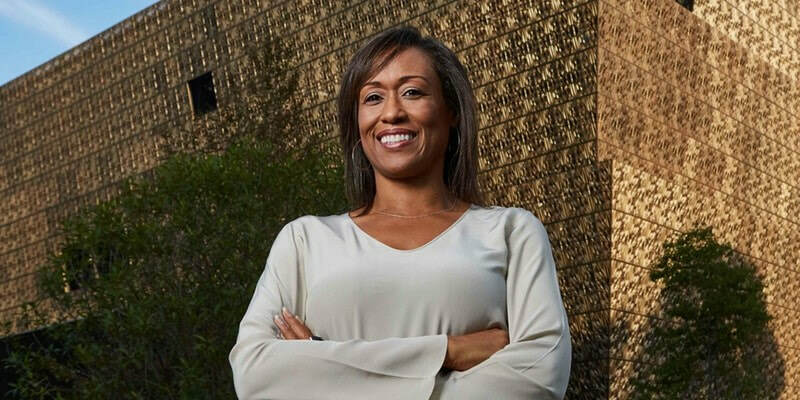 The museum was designed by a team of architects led by American architects Zena Howard (shown left) and Phil Freelon, and British-Ghanaian architect David Adjaye. ​Director Oliver Hardt takes us through the remarkable physical spaces, the palpable engagement of museum visitors, and gives us insight into the challenges faced during the design process. The success of the project serves as a reminder that design and advanced storytelling can challenge the dominant political discourse and enable a diverse conversation. Lydia Clemmons, Director of the Clemmons Family Farm will talk about the Farm's partnership with Zena Howard on the creative placemaking work for the farm's early 19th century Big Barn as a unique space for future African-American and African diaspora visual arts, performing arts, and educational programs. A short video about Zena's work with the Farm will be shared before the screening of the feature film. The Clemmons Family Farm is one of just 0.4% of all farms in the United States that are African American-owned. ​Learn more about the creative placemaking work at the Big Barn here. Doors open at 6pm at Contois Auditorium of Burlington City Hall. Guest presentation & film begin at 6:30 pm. 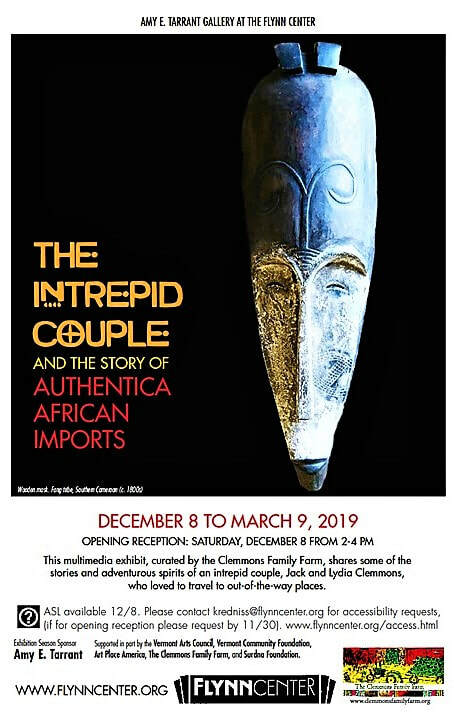 ​On exhibit: Our multi-media display of art, photography and storytelling documenting some of the work and travels of Jackson and Lydia Clemmons in Africa and Vermont. At the Amy E. Tarrant Gallery on Main Street, Flynn Theater of Performing Arts, Burlington, Vermont. Defying social expectations tied to their race, social backgrounds, and age, Jack and Lydia Clemmons moved from Cleveland, Ohio to Vermont in 1962 and raised their children in the small rural town of Charlotte. ​In 1984, Jackson J. Clemmons, a pathologist at the University of Vermont Medical Center, was invited to work with a research team studying the HIV virus at the Mount Kilimanjaro Hospital in Tanzania. He agreed to go as long as his wife Lydia Clemmons, a nurse anesthetist in the Degosbriand Unit of the University of Vermont Hospital, could accompany him. Lydia jumped at the chance and made arrangements with the Anesthesiology Department to accompany Jack. ​Curated by The Clemmons Family Farm, this multimedia exhibit shares some of the art, stories and adventurous spirits of an intrepid couple who loved to travel to out-of-the-way places. This exhibit is supported in part by ArtPlace America, the Clemmons Family Farm, Vermont Arts Council, the Vermont Community Foundation, and Surdna Foundation. Tanzania was the first of more than 30 African countries where Jackson and Lydia Clemmons lived, worked and traveled for short periods over the span of 20 years, all while maintaining their family life, community ties and farm in their beloved state of Vermont. There, they operated a 148-acre family farm during a time when farming was highly stigmatized in the African-American community and when Black and White society alike expected a professional couple to embrace an urban lifestyle. In 1983, Lydia launched Authentica African Arts, the first African art import mail order business in the US, from one of the historic buildings on their farm: an 18th-century blacksmith shop that Jack renovated on his own. Lydia operated the business for nearly 25 years before closing it in 2012. A selection of the Authentica collection, along with photos and listening stations featuring Jack and Lydia’s storytelling about the art they lovingly collected during two decades of work and travels throughout the African continent, is on special exhibition in the Amy E. Tarrant Gallery from December 2018 through March 2019. ​Now 95 years old, the intrepid couple are working on a new family venture: the Clemmons Family Farm, whose mission is to preserve the 148-acre farm and its legacy as an African-American Heritage, Art and Multicultural Center for the community.